Discover fast, interesting facts on Martin Van Buren for kids with some amazing, cool and quick information. Ideal for children, homework, schools, teachers and kids of all ages! 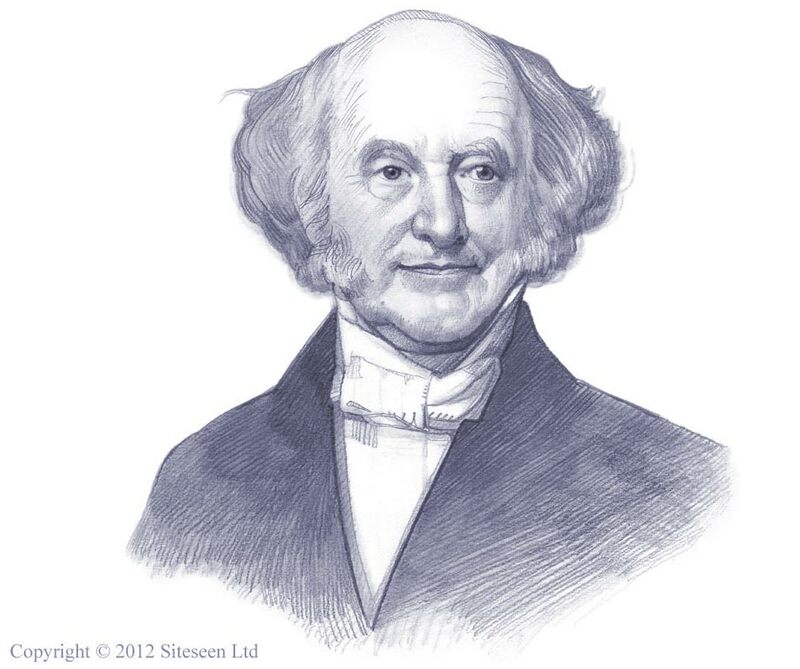 Enjoy our fast, cool facts for kids on Martin Van Buren in a useful fact file format with a fact sheet on Martin Van Buren. Fast fun facts for kids with a funny video on every page to make the learning process easy, funny and great fun! Fast fun facts for kids with free pictures and photos - ideal for fast homework help. Find out answers to questions like: What was the "Panic of 1837"? What was Martin Van Buren's connection with the "Trail of Tears"? How does the origin of the word "okay" relate to Martin Van Buren'? Why was he was given the nickname "The Little Magician"? Did you know that Martin Van Buren's career included the roles of Lawyer, Politician and Statesman? Did you know that he was one of the founders and belonged to the Democrat Political Party? Fun facts on the U.S. Presidents would not be complete without a picture of President Martin Van Buren! Watch the video, its fun for kids and children of all ages and ideal for homework help. His presidency struggled against economic depression, eventually it led to bank failures and food riots known as the "Panic of 1837"
Martin Van Buren married Hannah Hoes they came from the small Dutch community Village of Kinderhook, which led to his nickname of "Old Kinderhook"
The word "okay" originates from Martin Van Buren's nickname "Old Kinderhook". People would ask "Is it OK?" with reference to his nickname initials! Martin Van Buren and his wife had four children and two pet tiger cubs! He was not very popular with the public and was noted for his feminine dress sense and expensive taste, including costly carriages and requesting golden spoons in the white house! Fun Facts on Martin Van Buren - Watch the Video! Fast, Interesting Facts, Facts Video on Martin Van Buren for kids and children of all ages!